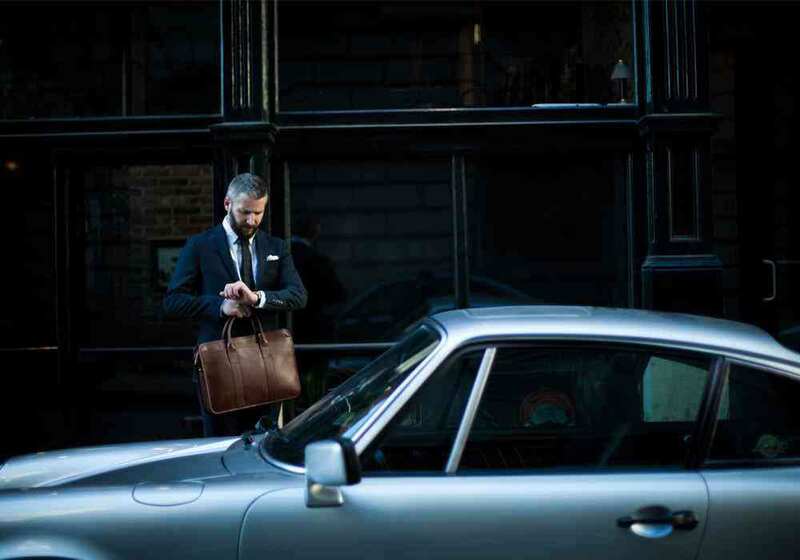 Mastering the Office Dress Code | Valet. The '80s and '90s saw seemingly every office worker dressed for business, if not sporting a full suit. Hell, even Office Space's Milton Waddams wore a tie to work. But as jobs became more mobile, and office atmospheres more casual, so went the formal dress codes. Perhaps you're a part of the Zuck-wave of casually-dressed, career-focused 20 and 30-somethings that have no dress code to abide by in your office. But for most working men, there are still bosses, clients and vendors that expect a certain level of decorum when it comes to how we dress ourselves. Even with the ten page Dress Code Guidelines on what "business casual" means issued to every new employee, things can still get a little (re: extremely) confusing if you care at all about how you look on a daily basis. So we've put together a few actionable tips that you can incorporate right away for what we've deemed to be three general office situations. From the generally laid back work environment to the white-collar operation that's been around since your great granddaddy's heyday. Feel free to cross-functionalize them depending on the situation (e.g. casual office, but meeting a big prospect today? 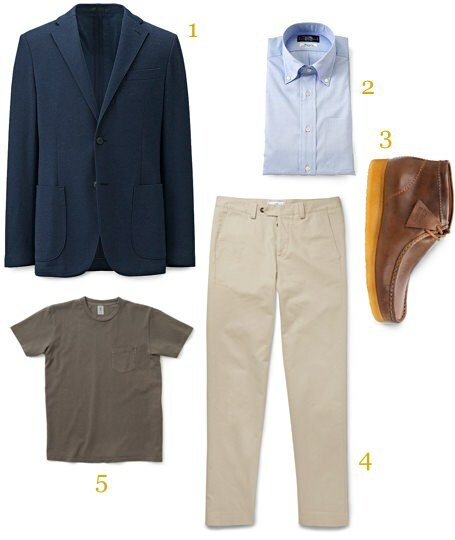 Consider the suit found at the white-collar firm or at the very least a blazer and chinos). Stick with a pair of clean, versatile sneakers year-round, casual boots for when the weather starts to drop, or slip into a pair of decent leather loafers. Jeans are a staple. But if they feel a bit too casual, a pair of tailored chinos like these Abercrombie joints should fit the bill. Looking for something a little more polished? Ami has a tapered pair that will add a touch of refinement to just about any shirt you've got. Save the shorts for the gym and your backyard. With all due respect to your leg days, no one wants to see your hairy lower limbs while trying to put together that presentation. Depending on your office, you may be able to get by with a decent T-shirt. Focus on the basics like one of these Velva Sheen tees. If you need to throw a collar on it, Kamakura produces a steady line of solid oxford cloth button downs that you can throw a sweater over in case they jack up that A/C to a frigid 67 degrees. Keep a navy blazer like Uniqlo's insanely comfortable cotton stretch blazer in the closet in case a client drops by unexpectedly or you need to head to an after-hours event. Trust us, we're as confused as you are when it comes to corporate America's ambiguous attempt at sartorial compromise. For some, it means a suit minus the tie and jacket. For others, it's a rotating system of different trousers accompanied with varying styles of shoes. One constant that is generally accepted is the appropriateness of a long-sleeve button-up shirt. Starting with the shoes again, Bow-Tie makes a solid pair of loafers or oxfords that can pair with just about any pair of pants. 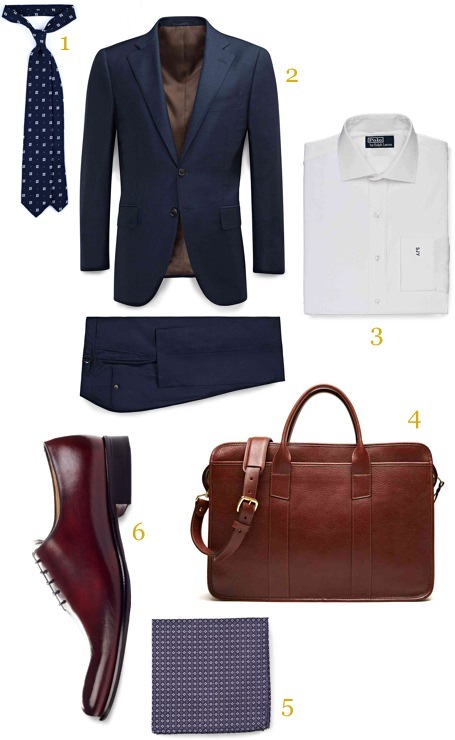 Our favorite is the tassel loafer or the brown leather cap-toe. If you don't want to stray too far from the beaten path, blue and white shirts should simplify your wardrobe. 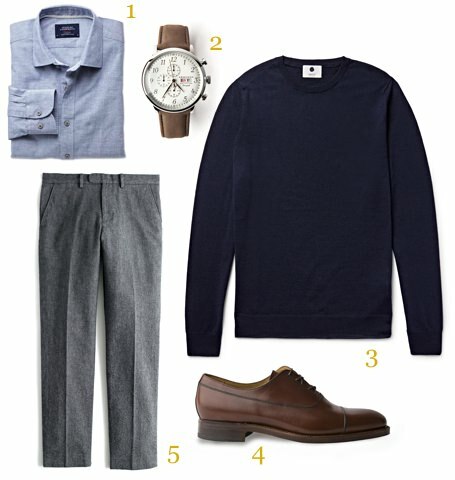 The aforementioned Kamakura and Charles Tyrwhitt will save you some bank, and you can always add a little pop with a lightweight sweater. You can't go wrong with a pair of four-season wool or cotton twill trousers. For a little rakish charm, take 'em to your tailor and add an inch and a half cuff. If your office has a casual Friday mandate, Taylor Stitch makes a rock solid slim fit chino that's nice enough for a meeting and casual enough for post-work drinks. Ironically, it's the most elaborate dress code that's the easiest to grasp. The formula goes something like this for a buttoned-up office: (A navy or gray suit + crisp shirt + handsome tie) x sleek, polished shoes = the closer's uniform. Note in the formula above, the most important part of your suit game starts with your shoes. They'll always be the foundation of your look, and if the foundation is weak so is the rest of it. Go the direct-to-consumer route with these Oxblood Oxfords from Paul Evans. The design is formal, and the oxblood provides a dignified and established aura. Suitsupply's La Spalla line uses a blend of wool and cashmere, lending elegance to the fully canvased suit that won't go unnoticed in the boardroom. If a cool G for suits isn't in the budget, stick with the brand's Blue Line where you can find a suit for half that, which still looks all the part of Gosling's well-dressed character in The Big Short. You could go with Charvet for ties if baller status is what you're after, but we suggest something a little less ostentatious and more affordable. Drake's has always been a favorite. They're an old school English haberdasher with great taste, and conservatively-designed ties that still get double takes from the people that know a thing or two about them. We get it if $100+ is a little steep for a corporate noose (overheard that one at a happy hour full of Wall Street interns). The Tie Bar churns out an affordable, classic designs that you can load up your tie rack with. Banking giant J.P. Morgan Chase & Co. now lets workers wear business-casual clothing most of the time instead of the once de rigueur suits. The makings of a desk that will impress. The complete guide to an affordable outfit that makes the right impression.